Just do it!!! New friends + wine + forced exercise! Haha yes that about sums up my main motivators. Strongly considering it! Thanks Amanda! 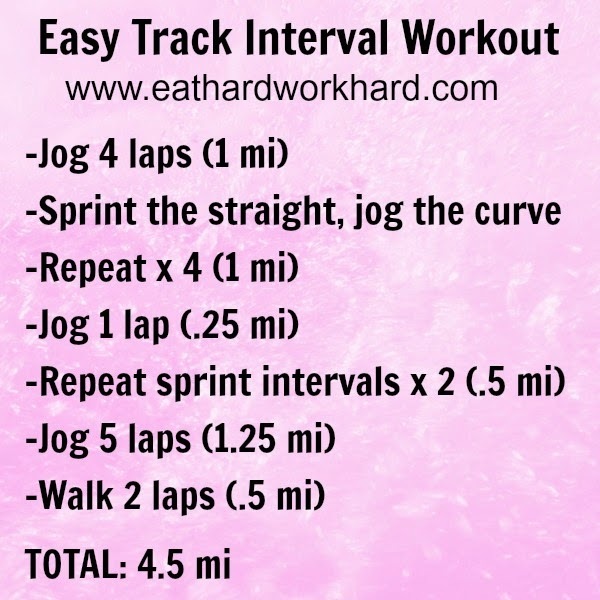 I saved the track workout on to my phone. As soon as this weather breaks I'm hitting the track again. It does wonders for my speed and I haven't been hitting it as hard as I need to. But you've reignited the flame, thanks! Wine is motivation enough for me! Dooooo it! You can do it! My first race (outside of high school and probably 10 years later) was a half marathon. Oh man that's really impressive and inspiring! I have just dropped into a race but it was either a 5K or 10K. No training necessary for me at least. If I were you - train and just do it. You got time especially with all that lovely weather. Dropping in from #wowlinkup. Ooooh you had me at wine! That sounds like fun and a great way to make new friends. Based on the running you have been doing and general fitness, you can definitely do it! 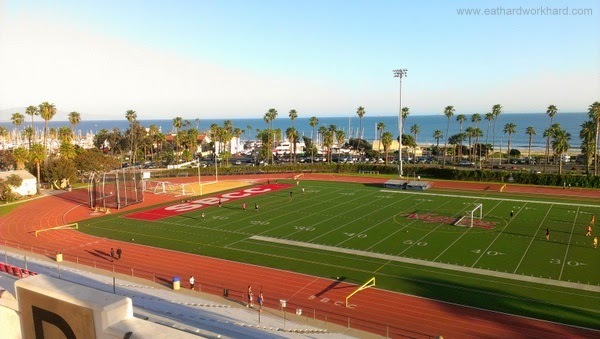 I would love to run on a gorgeous track like that and I love the workout! I'm running a half marathon on May 4th and would have only trained for 7.5 weeks by the time race day rolls around. My first week of training I really pushed myself and felt a bit more sore than usual, but now that I just finished my third week of training, I'm feeling much better. I would definitely run the 10 miler and only because of the wine tasting! LOL! Have a great weekend! Haha yes the wine tasting is a great motivator for me for sure! Good luck on your half training! Haha yea Sheila I would be confused too. I was planning to make a 10K my next race, seeing as how I've only run two 5Ks so far. But this 10-miler in April came up so I might just do it, even though I think I'll definitely be feeling the extra 4 miles lol. Thanks for stopping by!